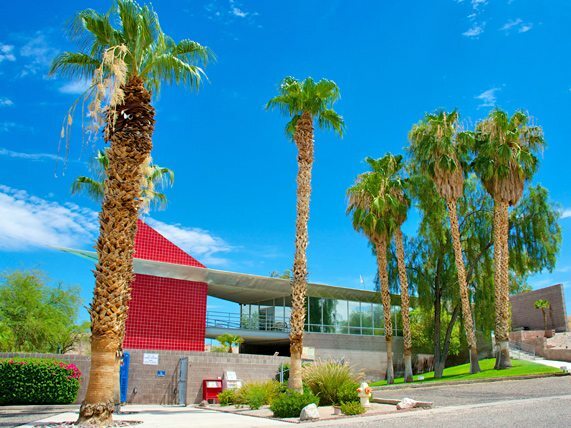 Sunrise Adventures Ridgeview Resort is located less than a mile from the captivating Colorado River in Bullhead City, Arizona and is directly across the border from Laughlin, Nevada, where ten casinos offer 24-hour gaming, restaurants, and exciting entertainment and much more. 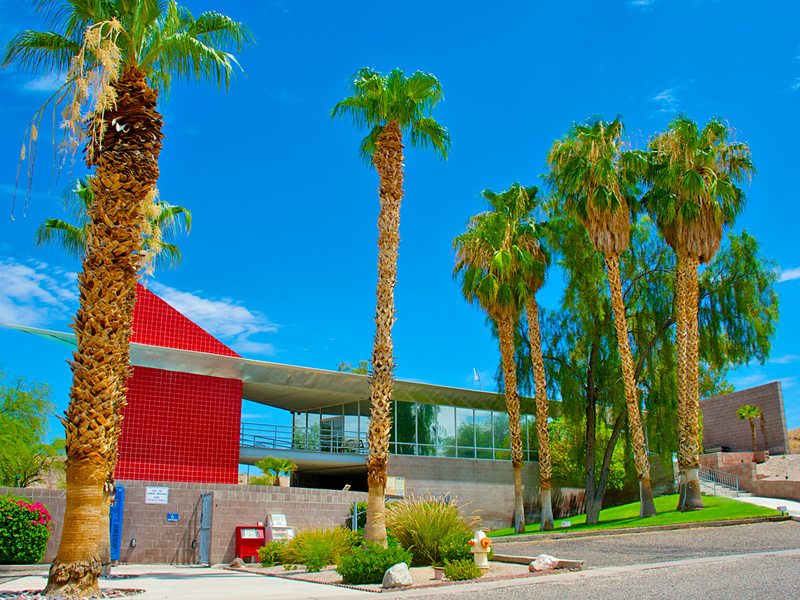 The resort is located less than two hours from Las Vegas, and one hour from the famous London Bridge in Lake Havasu City. 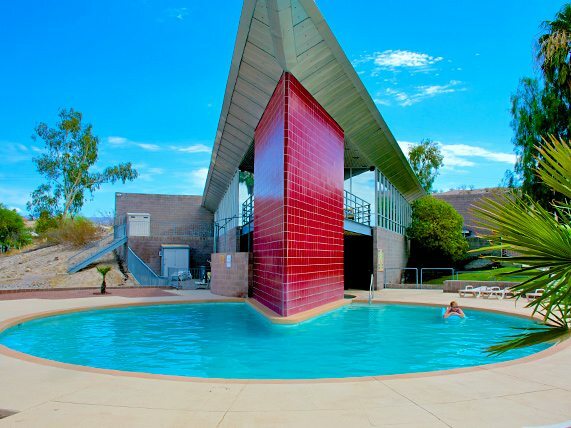 The Resort offers countless amenities like a large Clubhouse where various family and fun activities are held, a swimming pool and jacuzzi to relax after a long day. There’s Shuffleboard, Hiking Trails, Vacation Rentals and much more! 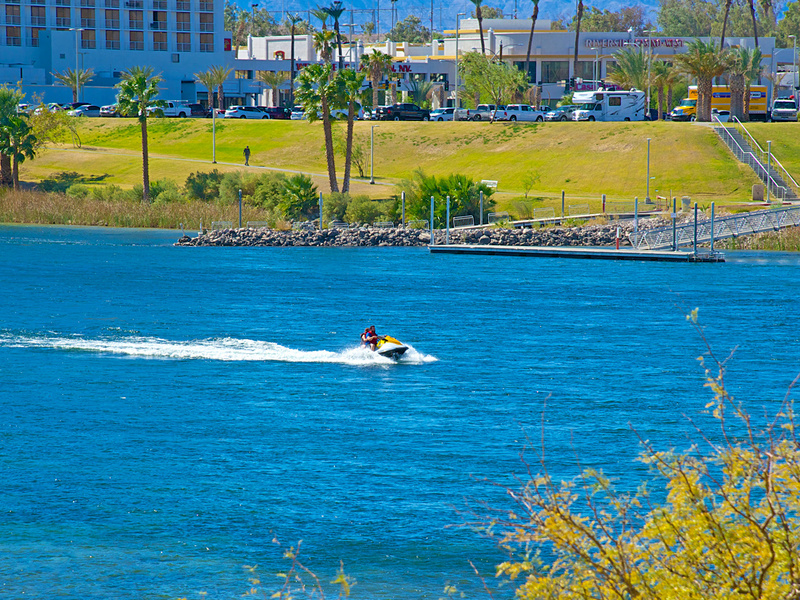 Winter, spring, summer or fall – the Bullhead City/Laughlin area is the area of all seasons. 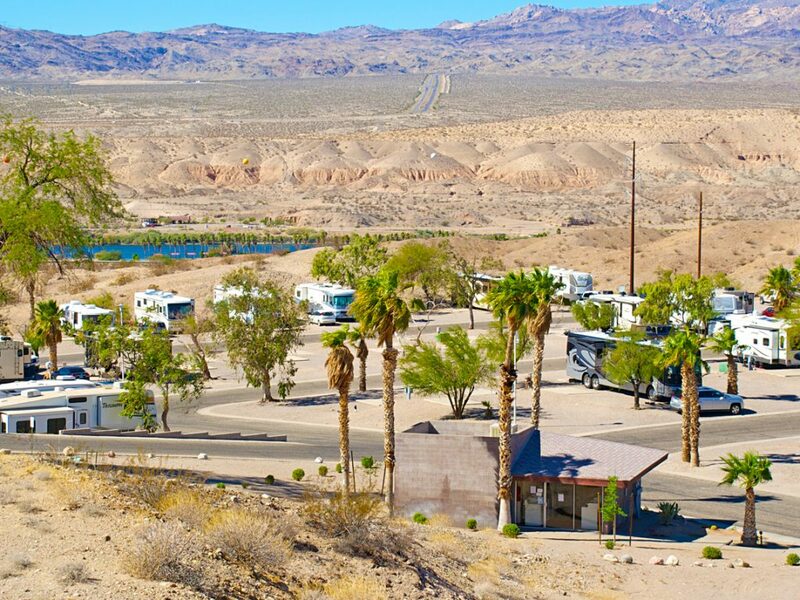 The area is known for 360 days of sunshine a year that allows numerous outdoor recreation activities year round, which makes Ridgeview RV Resort one of the premier RV destinations in the country! 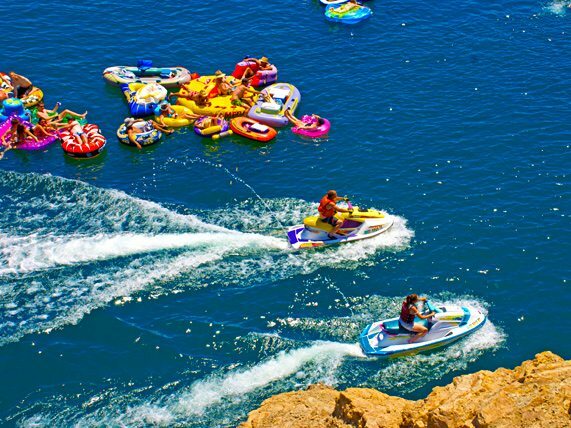 In addition to the Colorado River, you also have the opportunity to play on the pristine waters of Lake Mohave that is located minutes north of the Resort. 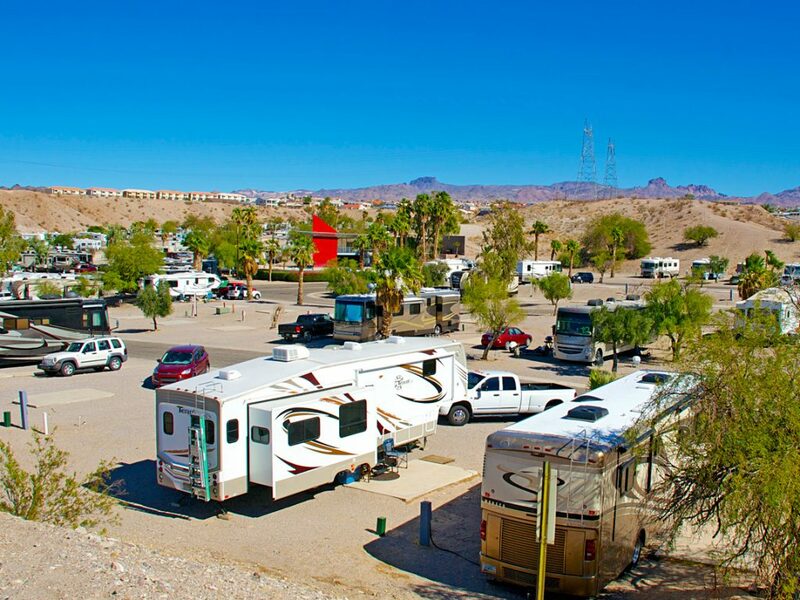 With the abundance of water play space on the Colorado River and Lake Mohave, there is a wide variety of activities available near Ridgeview RV Resort. 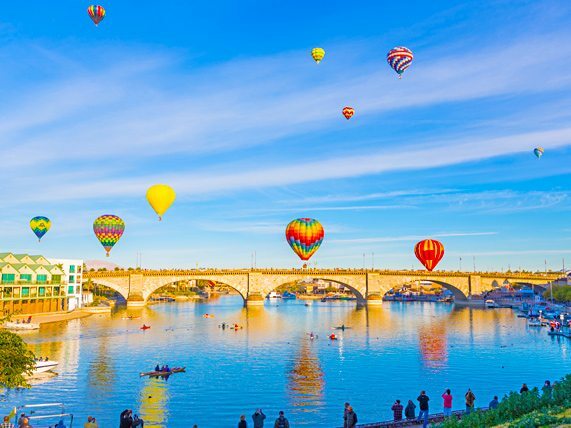 Bullhead City and Laughlin both offer some of the best Shopping in the area with Malls and various stores located minutes from the the Resort. 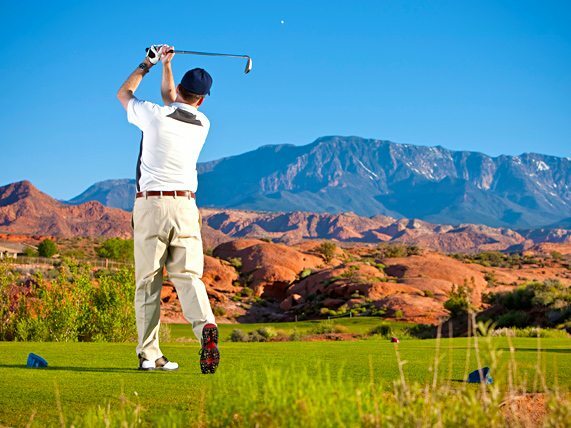 If golf is a highlight of your Ridgeview Resort vacation, then we have you covered at one of the many golf courses the Bullhead City/Laughlin area has to offer. 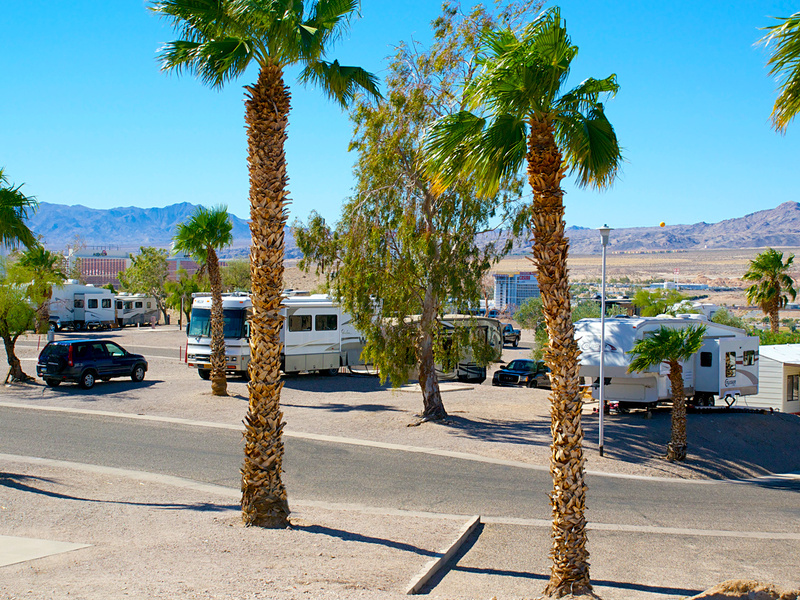 With year-round sunshine and several courses conveniently located minutes from the resort, Ridgeview RV Resort is an ideal place to tee up for the perfect RV golf getaway. Questions? Call Us at 866-217-8111 or Book Now! 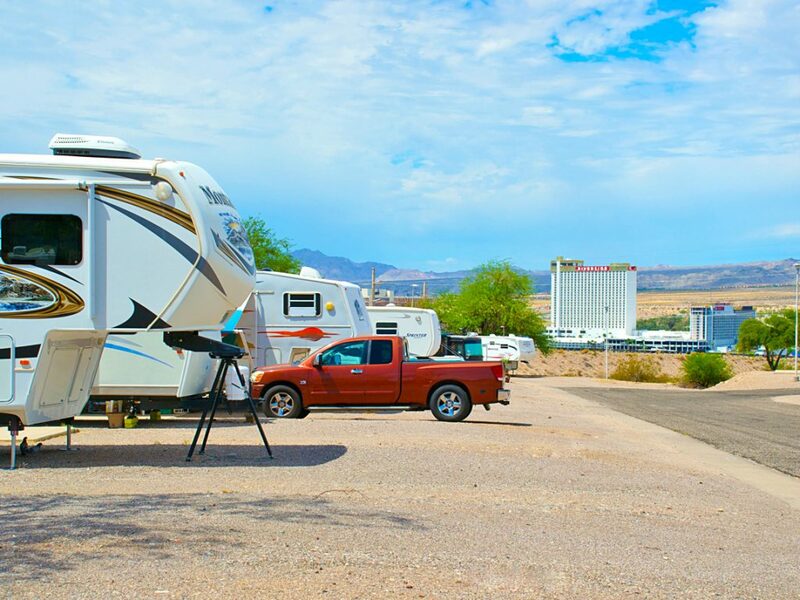 BOOK YOUR FREE RV STAY TODAY! Do you feel like being social? Well, our Ridgeview Sunrise Adventures Clubhouse is the perfect setting. 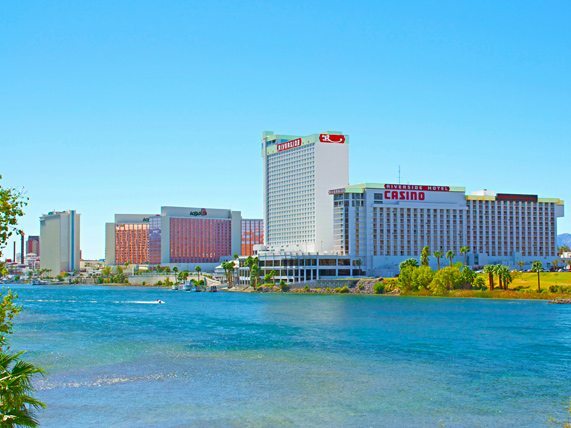 You will be blown away by it’s stunning views of the Colorado River and Laughlin strip. Whether your game is Poker, Farkle, Cribbage or Mexican train our clubhouse is always buzzing with others who want you to join in. If karaoke is more your style or maybe an ice cream social, our clubhouse is the hub for all of our planned weekly activities. We can’t wait for you to come on over and have some fun! Ready for some daily water aerobics? Feel like swimming some laps? Or would you rather just soak in our jacuzzi and relieve those tired traveling bones? 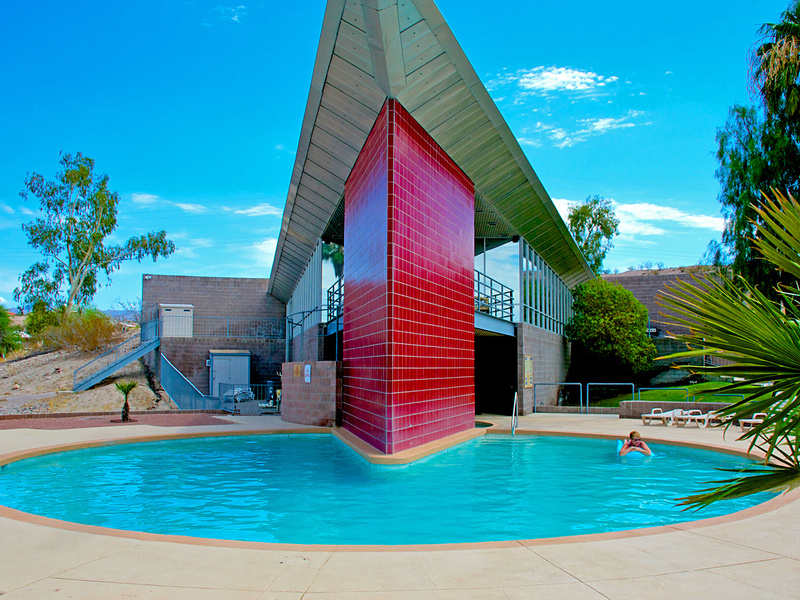 Whatever it is you’re looking for, our sparkling heated swimming pool and jacuzzi will not disappoint. Come on over and take the plunge. The water’s perfect! 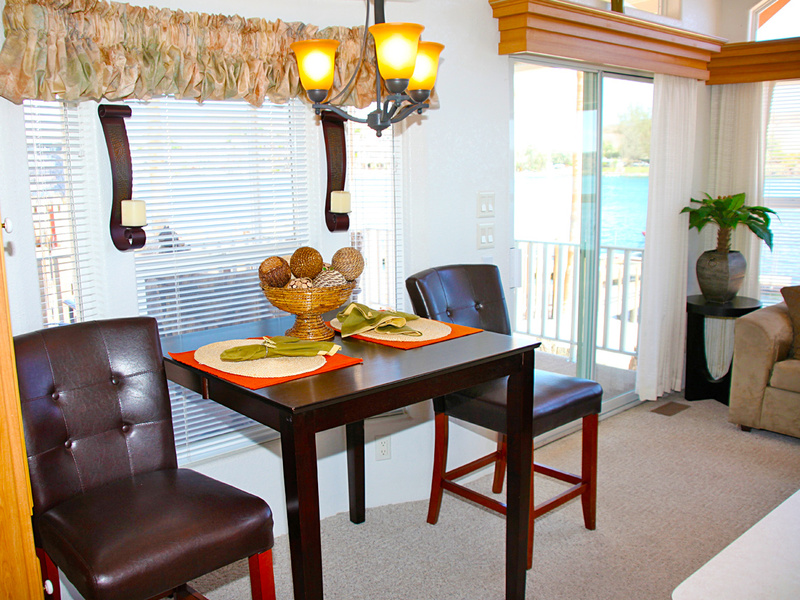 Pulling into Ridgeview Sunrise Adventures Resort you will immediately be relieved. All of our sites are spacious and can accommodate any size rig. You will also have choices. Most of our Resort sites offers cement slabs for outdoor living and some with views of the river. 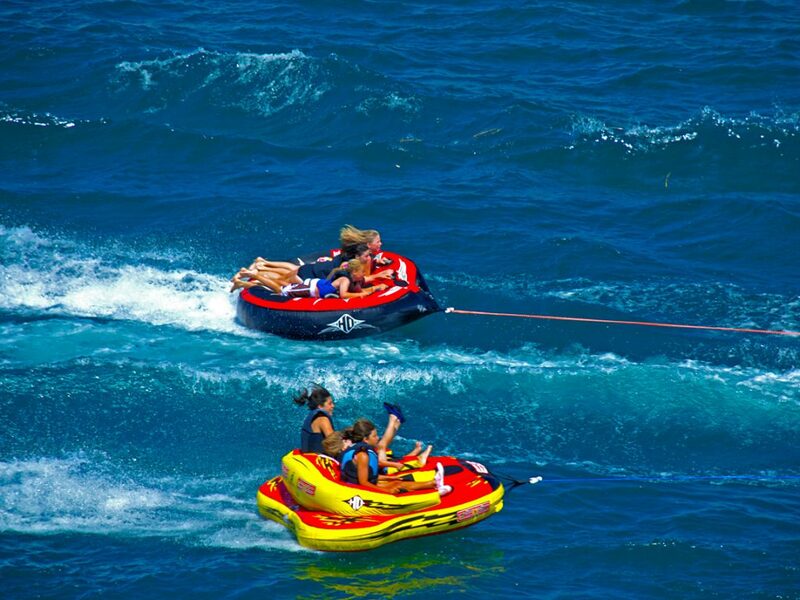 Whether you prefer 30 amp or 50 amp we’ve got you covered at Sunrise Adventures Ridgeview Resort. 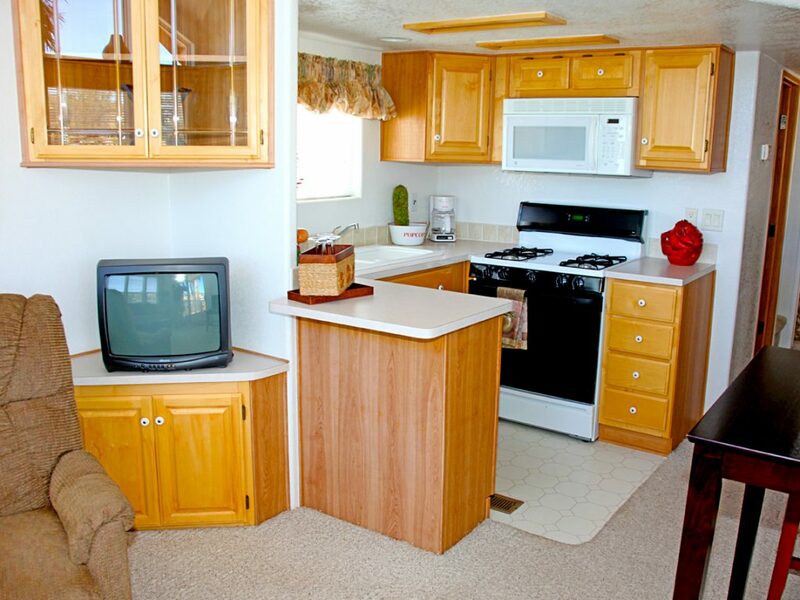 If you feel like taking a trip without your RV or you’re the kind of traveler who wants to make things super easy, at Ridgeview we have the perfect vacation rental for you. 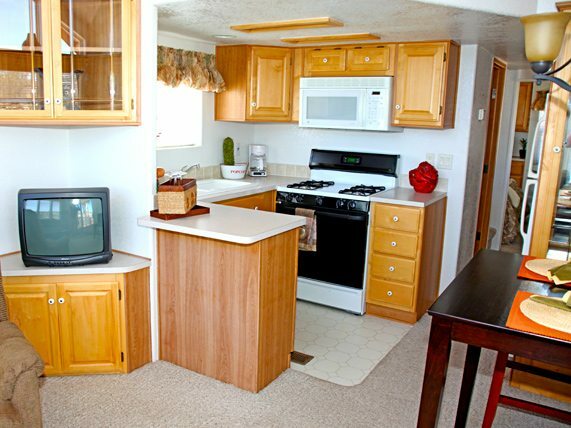 Newly remodel Park Models, Lofted Cottages and Travel Trailers are the easiest way to seize the RV lifestyle without any complications. Whether you’re looking to accommodate your whole family or just the two of you, our fully appointed rentals we’ll fit the bill. Pack your pillows, your Linens and a smile, everything else will be waiting for you. No one likes doing laundry but, at Ridgeview Sunrise Resort we make it as pleasant as possible. Our climate control laundry room is spacious and immaculate. You’ll find everything you need to make this chore as good as it can be. If you’re looking for a little more elbowroom in the shower than you have in your rig, Ridgeview Resort also has showers in multiple locations at the resort. 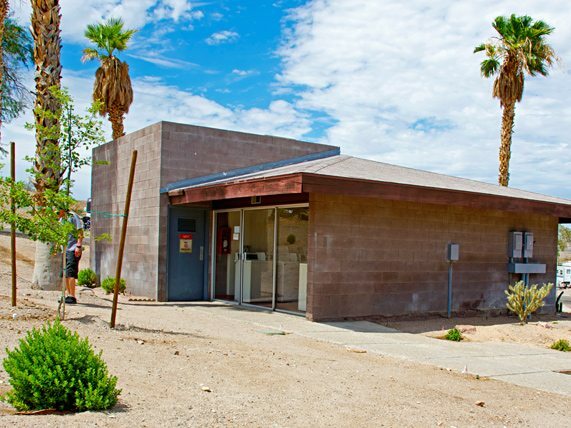 Clean, spacious and orderly, our bathhouses make life just that much easier. The royal treatment with a side of down-home hospitality. 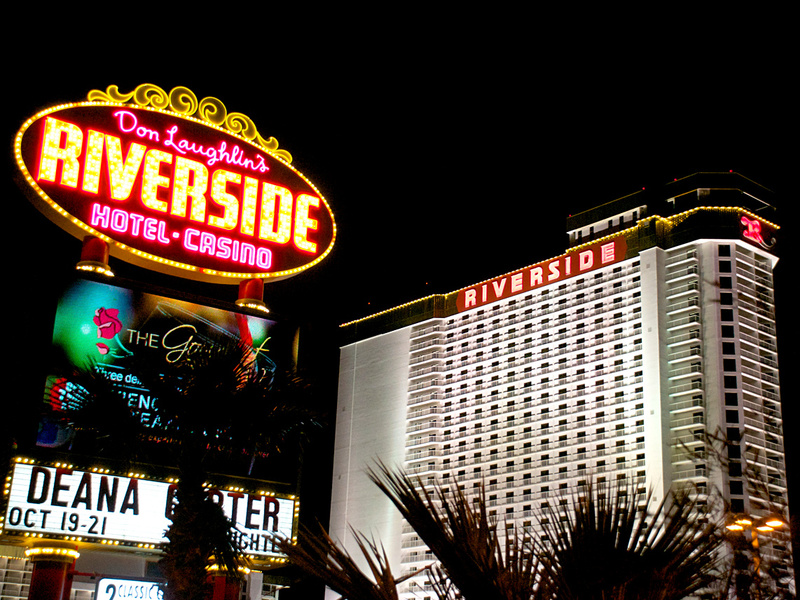 Enjoy comfort and luxury and Vegas style gaming fun at one of Laughlin’s many hotels and casinos, like Don Laughlin’s Riverside Hotel and Casino, Aquarius, Colorado Belle, Laughlin River Lodge, Harrah’s and many more on the Laughlin strip. Lake Mohave It is located just north of sister-cities of Laughlin, Nevada and Bullhead City, Arizona. Most of its length is bordered by the steep canyon walls of Eldorado, Pyamid, and Black Canyons as you proceed north. Lake Mohave is part of the Lake Mead National Recreation Area and is administered by the National Park Service. 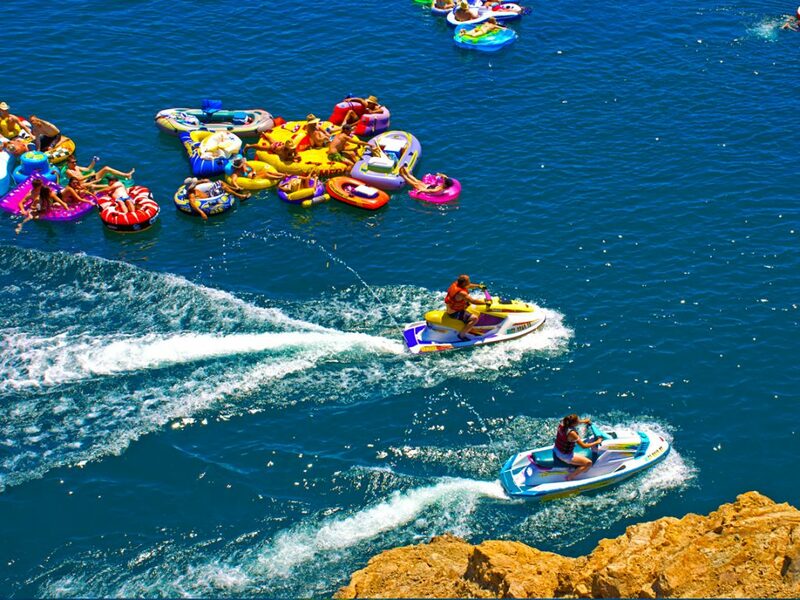 Vacationers will discover a world of water recreation and outdoor adventure on Lake Mohave including boating, house boating, jet-skiing water skiing, kayaking, fishing, camping, hiking and a visual feast of sightseeing. 8 miles N of Laughlin Laughlin, NV and completed in 1953, Davis Dam is an earth and rock-filled structure designed to control flash floods and generate hydroelectric power. This energy is used in the Southwest to turn the wheels of industry and pump water from wells to irrigate farmlands and water livestock. TOURS ARE NOT AVAILABLE at Davis Dam. However, visitors are welcome to park atop the dam and view the features and interpretive panels at the site. Oatman, AZ was born in 1906 as a tent camp and flourished as a thriving gold mining center till 1942. The residents take pride in keeping its town as authentic as possible, giving visitors a look back into history and showing the Wild West as it really was. 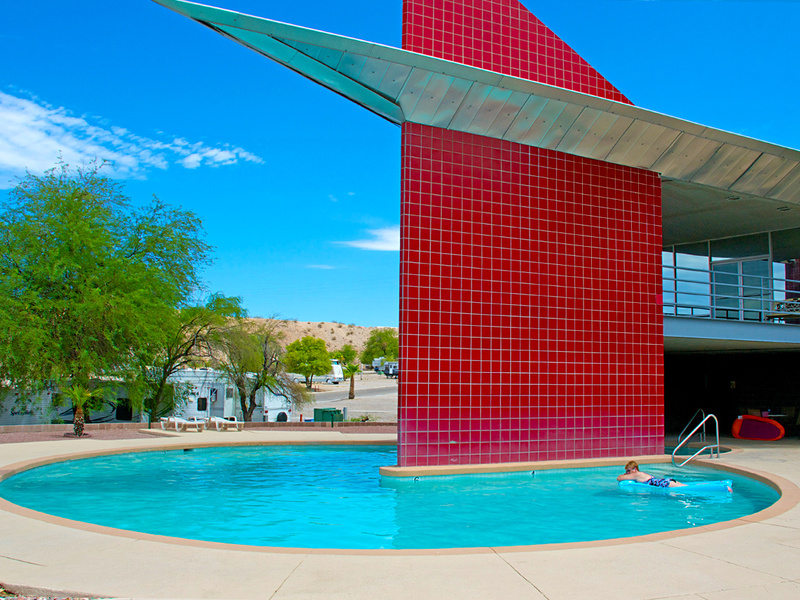 Located on historic Route 66, this family-friendly town features gift shops, restaurants, staged gunfights and friendly wild burros. Not only has Oatman been the filming location for several, classic western motion pictures, but notably, Oatman’s most famous visitors were Clark Gable and Carol Lombard who stayed there briefly during their well-publicized “elopement” in the 1930s. 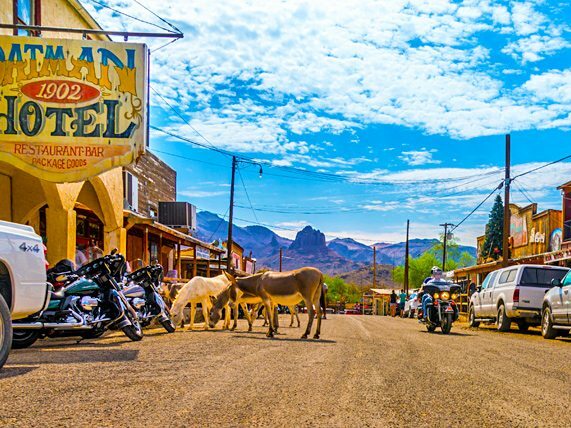 Oatman is located 28 miles SE of the resort. 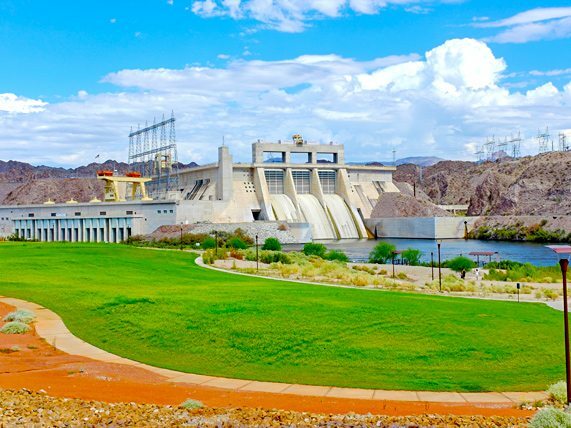 The Laughlin Nevada area is an undiscovered golf oasis boasting 9 excellent golf courses within 45 minutes of the Laughlin casino strip! 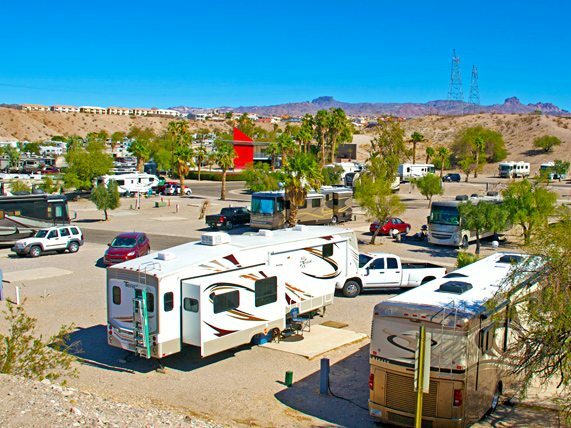 Come find out why Ridgeview RV Resort is an excellent choice for an exciting new golf and gaming hotspot, and your next golf getaway! 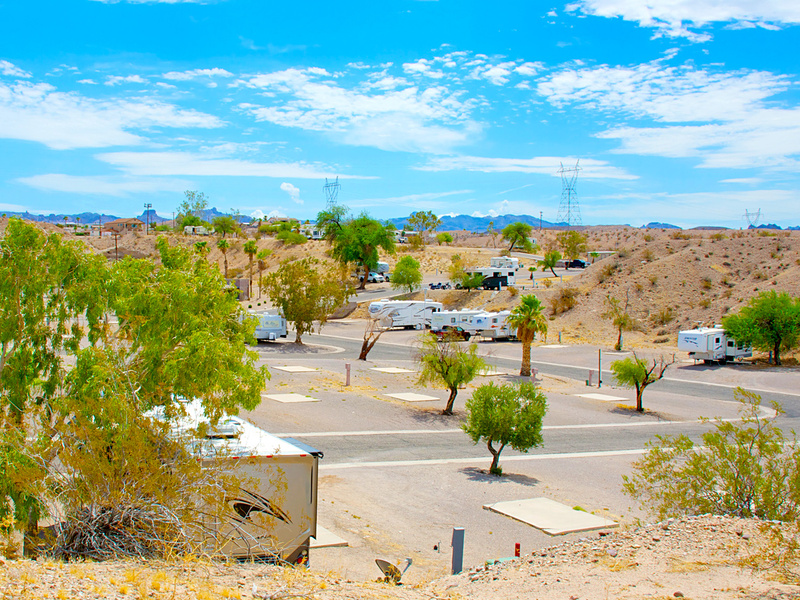 Make a Reservation and experience the joys of RV Camping with when you book a reservation today!